HomeBBQGasJackson Grills LUX 400 – Bonus Items Until Sept.30 ! 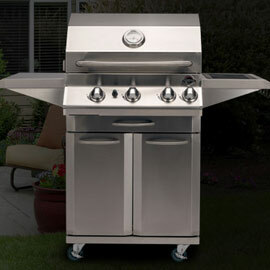 Jackson Grills LUX 400 – Bonus Items Until Sept.30 ! The Lux 400 Cart Model; a full sized gas grill in a compact package; perfect for singles, couples and today’s smaller families. Grill the perfect steak; roast a chicken to perfection on the infrared rotisserie. With a total grilling surface of 370 square inches (Primary: 268 sq. in. Secondary: 102 sq. in. ), the Lux 400 offers the perfect balance between performance and flexibility. Ideal for smaller patios and decks. Until Sept.30 While supplies last, receive these great items free with the purchase of your grill… Wooden Grill Scraper, Stainless Steel Cleaning Kit, Volcanic Grill Stone and Grill Storage Cover. 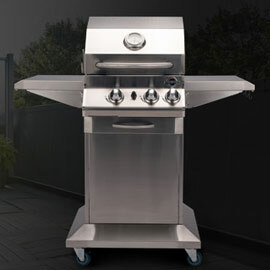 Jackson Grills LUX 550 – Bonus Items Until Sept.30 ! 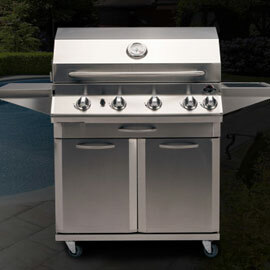 Jackson Grills LUX 700 – Bonus Items Until Sept.30 !